Part 4 : Is Indian Politics Being Converted into a Game on Social Media Platforms like Facebook? In this, the fourth article in a series, the Congress party’s recent engagement with Facebook is looked into, new information on the activities of Cambridge Analytica’s associates in India is reported and an allegation of possible conflict of interest relating to a senior employee of Facebook in India is examined. Is Facebook truly a politically agnostic platform? Far from it. Serious doubts have been expressed about how neutral Facebook was in the past and how neutral it will be in the run-up to the April-May 2019 general elections. In the first article in this series of reports, we examined allegations relating to the complicity of Facebook and WhatsApp in disseminating disinformation, hate speech and incendiary information. In the second, we reported how Facebook arrived at the dominant position it is in India at present with more than a little help from the current ruling regime. In the third report in the series, we outlined the role played by key individuals with close links with the Bharatiya Janata Party and Prime Minister Narendra Modi in propagating his party’s right-wing Hindu nationalist agenda on Facebook and other social media platforms. In this, the fourth article in the series, we report on how the Congress party is trying to engage with Facebook, the activities of Cambridge Analytica in India, an allegation of possible conflict of interest relating to a senior employee of Facebook in India. In the fifth and final article, we will outline the crisis confronting one of the world’s biggest internet conglomerates set up just over a decade ago. We will also reproduce a detailed questionnaire that we sent Facebook and the social media platform’s predicable and somewhat fuzzy responses to 64 pointed questions we raised. It was in the second week of October that a meeting took place between an influential Congress member of Parliament, a few party functionaries handling social media campaigns and Ankhi Das, Facebook’s senior representative in India. We were told by a reliable source that during the meeting, Das was asked why Facebook had refused permission to the Congress to place paid-for advertisements on its platform that would propagate the opposition party’s claims on, among other issues, the Rafale fighter aircraft deal. Das reportedly said that she was unaware about what had happened and would look into the complaint. When we sent an email to Divya Spandana, who handles the Congress party’s social media campaigns, to confirm whether our facts were correct or not, she promptly responded by saying the information we had received was “not true at all.” We also asked her if she would like to inform us about when the Congress had started working with Facebook and whether the organisation had conducted workshops and/or provided onsite support to representatives of her party. She did not respond to these queries. The time limit they set for advertising; they have to seek approvals for content and policies, they ran out of the time for scheduling ads before the approvals came, hence the ad could not run. They have been guided to set enough scheduling time before the ads run. We did a deep dive and they have had several ads run on the platform, so it would be unfair to say that Facebook did not guarantee approvals to run ads. You can get more details on our advertising approval process here. In 1989, a bill was introduced in the United States Senate to enact the “Honest Ads Act” to promote regulation of political advertising online by companies like Facebook and Google. In the US, media organisations are legally mandated by the Federal Election Campaign Act of 1971 to disclose who has paid how much for political advertisements on television, print publications and on radio channels. However, these requirements do not apply to web platforms. The bill seeks to amend the 1971 law to make digital platforms disclose the source of funds and the names of persons/entities who purchase time and space for political advertisements and also to ensure that “reasonable efforts” are made so that the ads are not purchased “directly or indirectly” by individuals and organisations located in foreign countries. On 30 October, VICE News in the US reported that the “paid for by” disclosure at the top of each political advertisement on Facebook, ostensibly to bring about greater transparency, could be “easily manipulated.” The media organisation applied to buy fake advertisements on behalf of 100 sitting US Senators and found that all of these were “promptly approved” by Facebook. The company’s critics have contended that what Facebook has agreed to comply with in the US is a diluted version of what has been proposed in the amendment to the Federal Election Campaign Act in order to pre-empt tougher regulations. In 2015 and 2016, a team of journalists from an internationally-renowned publication based in the US led by an award-winning journalist had started an investigation into the activities of Facebook in India. One of the areas that was sought to be probed was the alleged mismatch in the posts and pages taken down by Facebook in comparison to those taken down after following orders issued by the Indian government’s Computer Emergency Response Team (CERT) in the Ministry (earlier Department) of Electronics and Information Technology (MEITY/DEITY) and other ministries and departments. The investigation was never completed and the award-winning journalist moved back from India to the US. Our pointed questions to Facebook on allegations of discrepancies in the data put out by the organisation in comparison to MEITY did not elicit a direct answer. The most recent transparency report released by Facebook on 16 November shows a consistent increase in the number of government requests for “information” and details of “user accounts,” usually by law-enforcement agencies, over the last five years. Information requests have jumped more than five-fold from 3,245 in the first half of calendar 2013 to 16,580 in the January-June period in 2018. In these periods, the number of requests for details of user accounts have gone up over 5.5 times from 4,144 to 23,047. India is now second after the US in terms of numbers of both types of requests for information. Between the first halves of 2015 and 2018, while there has been an estimated increase in Facebook accounts in India by 63%, the number of information requests by government agencies has shot up almost three-fold. The increase between January-June 2017 and the corresponding period this year was more than 67%. In 2013, India was on top of the list of countries in terms of requests for content take-down but is, curiously, now down to the seventh position – the lowest thus far since Facebook started compiling and disclosing such data. Facebook says it complied with the Indian government’s requests roughly half the time. Interestingly, in terms of compliance, India’s position has collapsed, from being in the top 20 (out of 71 countries) to 70th position (out of 127 countries) in 2018. Equally significantly, the number of actual “take-downs” of content that had peaked in 2015 at around 30,000 is now down to below 3,500 – implying that during the period when the proliferation of disinformation is supposed to have peaked in India, Facebook took down problematic content at a slower pace.Predictably the bulk of the content take-down requests from the government have related to religious sentiments, hate speech and, not surprisingly, “anti-state defamation.” The full report can be accessed here. The reputation of Facebook took a big beating across the world in March 2018 after it was revealed that a political consultancy outfit called Cambridge Analytica – run by a UK-based company named Strategic Communications Laboratories (SCL) led by Alexander Nix – had illegally hacked into the personal data of over 87 million users of Facebook, most of them located in the US. Of this huge number, only a small proportion – around 5,62,000 – were apparently users based in India. The most-recent development in this sordid story was published by the UK-based Guardian on 24 November. It reported that the British Parliament had used its legal powers to seize internal documents of Facebook in an “extraordinary” attempt to hold the social media giant to account after Mark Zuckerberg repeatedly refused to answer questions raised by MPs. The publication claimed that the cache of confidential documents contained “significant revelations” about Facebook’s “decisions on data and privacy controls that led to the Cambridge Analytica scandal.” These documents were obtained by invoking a “rare parliamentary mechanism” to compel the founder of an American software company called Six4Three to disclose information. A Facebook spokesperson said this company’s claims had “no merit” and that the disclosure of the documents would violate an order of a court in California, US. Despite the relatively small number of users involved in this country, the Cambridge Analytica scandal led to a big political slanging match in India with leaders of the both the BJP and the Congress accusing each other of having used the services of an associate company of Cambridge Analytica in India, namely, Strategic Communications Laboratories Private Limited. This company had four directors, two from the UK including Nix and two from India, namely, Amrish Kumar Tyagi, and Avneesh Kumar Rai. The company had been active through another associate firm, Ovleno Business Intelligence, headed by Tyagi – who is the son of K C Tyagi, leader of the Janata Dal (United) which is the ruling party in Bihar – together with Himanshu Sharma, who worked on Modi’s “Mission 272” campaign and the BJP’s “missed call” campaign. In an interview in The Print on 27 March, Rai said he had worked as an election adviser for various political parties since 1984. Before the 2009 Lok Sabha elections, Rai worked with BJP leader from Noida (Gautam Buddh Nagar) in Uttar Pradesh Mahesh Sharma, who is Union Culture Minister in the Modi government. Rai’s friend and professional associate Tyagi had worked on gathering business intelligence besides data that would be of use to politicians and political parties. The two reportedly compiled databases of households in states with details of their caste affiliation and political preferences that could be used by candidates standing for elections. According to Rai, a team from Cambridge Analytica met representatives of both the BJP and the Congress to seek business opportunities and pitched for work relating to the assembly elections in Rajasthan and Madhya Pradesh. He alleged that Nix had “double-crossed” or “two-timed” his clients to earn as much as money as he could. In March, a day after testifying before a British parliamentary committee, Christopher Wylie, who blew the whistle on Cambridge Analytica’s activities, claimed that its projects in India were akin to “modern colonialism” and that the company had data from hundreds of thousands of villages in all districts in India. He released data suggesting that Cambridge Analytica and its associates had worked since 2003 during the campaigns before assembly elections that had taken place in Uttar Pradesh, Bihar, Kerala, West Bengal, Assam, Jharkhand, Madhya Pradesh and Rajasthan and also before the general elections of 2009 where “proprietary data collection methodologies” were used by “a number of Lok Sabha candidates” for campaigning strategies. The Wire portal reported that Avneesh Rai flatly denied Wylie’s claims. It can be argued that Chakravarty’s analogies and comparisons are inaccurate. Every bit of information that is put out in Facebook or Twitter is “public” with the exception of specific kinds of “private messages” and information about the personal details of users that are provided during the time such users register themselves on these social media platforms. Arguably all other data is “derived” by Facebook and other social media platforms, including information on users’ political preferences not to mention their possible sexual orientation, financial status, emotional states and so on. The Indian government sent show-cause notices to Cambridge Analytica on 23 March and to Facebook on 28 March. “What security architecture is proposed to be created by Facebook, on an urgent basis, so that the data concerning Indians is not pilfered or manipulated again for extraneous purposes including to influence the elections,” the government asked Facebook in its notice. Other questions asked by the government were (a) whether the personal data of Indian voters had been “compromised” by Cambridge Analytica or “any other downstream entity in any manner,” (b) whether Facebook or its related or downstream agencies utilising its data had earlier been engaged to “manipulate the Indian electoral process” and if “any such downstream entity misused data from Facebook,” and (d) what is the “protection available to the data subject.” Cambridge Analytica claimed that it had collected data in India only from “first party research instruments or opinion surveys” and did not hold data of Indian users obtained illegally from Facebook. On 26 July, Union Minister for Electronics and Information Technology Ravi Shankar Prasad told Parliament that the Central Bureau of Investigation had been asked to probe Cambridge Analytica’s misuse of data of Facebook users in India. Meanwhile, in Menlo Park, California, Facebook’s bosses rued that its profits would decline for “several years” due to the company having to incur higher costs on improving privacy standards. In the wake of the Cambridge Analytica scandal, there was quite a churn in the higher echelons of the top brass in Facebook and entities related to it. In September 2018, Brian Acton and Jan Koum, co-founders of WhatsApp, left the board of the parent company of Facebook following “philosophical misalignments” with Mark Zuckerberg and Sheryl Sandberg. Acton later said he was unhappy that WhatsApp would no longer be free of “advertisements, games and gimmicks” as had been envisaged by him. He had “sacrificed” monetisation of content but this was clearly not what Zuckerberg wanted. Moreover, he was clear he did not want to sell the privacy of users. “Private greed militates against privacy,” observed Purkayastha. The same month, Instagram’s founders Kevin Systrom and Mike Krieger also left Facebook amid speculation that they were first unhappy and then agitated over Zuckerberg’s alleged meddling. Unlike Acton, however, they did not openly criticize Zuckerberg. Across the world there has been an outpouring of criticism against Facebook in recent months. Bloomberg had reported in December 2017 that Elizabeth Linder, who started and ran Facebook’s political accounts in Europe, Middle East and Africa accounts till 2016, left the company because she grew uncomfortable with what she saw as an increased emphasis on electioneering and political campaigns. A day after the United Nations ordered an independent investigation into Facebook’s role in the genocide of Rohingyas in Myanmar, the company put out a public statement admitting that “it was too slow” to address hate speech in that country and had banned pages run by the Myanmar military junta much later than it should have. By the time Facebook reacted, nearly 7,00,000 Rohingyas were reportedly displaced from their homes in one of the worst genocides of its kind in recent times. In Sri Lanka, civil society groups have been producing evidence and warning Facebook for months that its inaction on hate speech would lead to violence. The company finally acted after the Sri Lankan government banned the organisation accusing it of fuelling violence against Muslims that led to several incidents of arson and the deaths of three persons. In Germany, Facebook assisted the anti-immigrant party Alternative for Germany or AfD. In Philippines, Facebook reportedly helped train campaign managers of Rodrigo Duterte who encouraged extra-judicial killings and allegedly continues to use the social media platform to silence his critics and political opponents. In some South Asian countries, including Philippines, the number of users on Facebook grew exponentially after using its Free Basics scheme. Independent research suggests that many users in these countries conflate Facebook to the Internet in these countries. Facebook and its associated platforms have been linked to violence across countries in South Asia, including India, besides Libya and Germany. Before the recently-concluded elections in Brazil, it was revealed by the newspaper Folha de S.Paulo that private companies linked to President Jair Bolsonaro had flooded WhatsApp groups and Facebook with disinformation and inflammatory content. Paid activists and digital agencies were hired to seed content on these platforms. A day after this investigative report was published, WhatsApp and Facebook placed restrictions on their platforms and “de-platformed” thousands of users, including Bolsonaro’s son. However, some of these restrictions were circumvented by using subscriber identity modules (SIMs) and accounts located outside Brazil. On17 May, Facebook had announced a partnership with Washington-based Atlantic Council and the Digital Forensic Research Laboratory to “independently monitor disinformation and other vulnerabilities in elections globally, including in India” so that the Laboratory can become its “eyes and ears” to spot potential abuse. 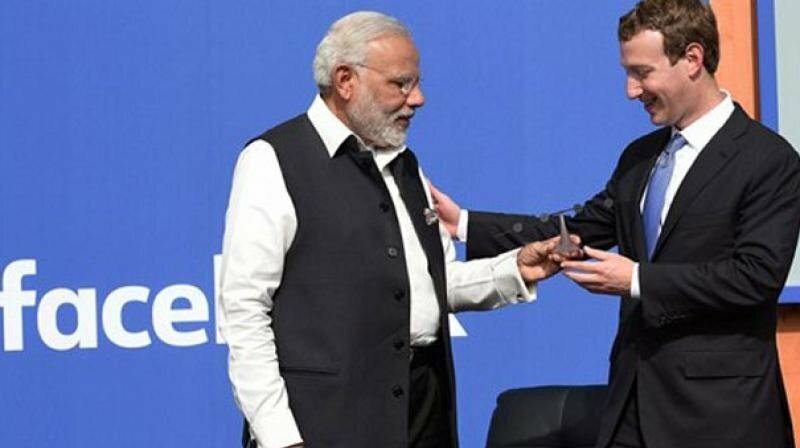 Katie Harbath, Facebook’s global politics and government outreach director, in an interview published by the Economic Times on 13 August, said her organisation was doubling the size of its team of reviewers globally from 10,000 to 20,000 to scan accounts and remove fake ones. It has teamed up with, among others, BoomLive, a fact-checking website. Chris Daniels of WhatsApp told ET that it was one of the few technology companies to intentionally constrain sharing. He said his company would be investing more in identifying and banning automated accounts using machine-learning classifiers to analyse accounts for automated or abnormal behaviour and spam. After issuing a call for applications in July and receiving more than 600 proposals, on 12 November, WhatsApp announced awards for 20 research teams across the world, including India, to contribute to its “understanding of how misinformation spreads.” Each grant would be around $50,000 or around ₹36 lakh. Much of the focus of Facebook’s management in controlling damage to its reputation has been in the US and in Europe where it faces regulatory challenges. In the US, the company has taken steps such as archiving political advertisements and making these public; been more proactive in taking down posts that apparently seek to influence voter behaviour; made more information on groups and pages public, and; purged fake accounts as well as pages and groups disseminating information considered problematic. By way of comparison, in South Asia and in India, Facebook seems to have acted in a cavalier and even callous manner, until recently. In India, as in other developing countries, Facebook has evidently sought to treat disinformation as more of a public relations (PR) problem. Across the world, there is growing awareness of how Facebook has often succeeded in making politics appear akin to a game and, in the process, disrupted and weakened systems and institutions responsible for strengthening democracy and provided authoritarian rulers opportunities to manipulate electoral processes. Disinformation is the cheapest tool in the hand of such rulers and Facebook has often looked the other way till a stink has been raised. In the US, investigations are still on as to whether its infrastructure was misused to manipulate the 2016 elections by financially strong and ideologically motivated individuals and groups. Independent digital forensic organisations and the media continue to uncover circumstantial evidence of how the US elections were sought to be influenced using Facebook’s platforms. Reports have appeared suggesting that Facebook was aware of how its platforms could have been manipulated – through internal communications put out in 2016 itself by Alex Stamos, the organisation’s former chief security officer – but did not acknowledge this till much later. Stamos left Facebook in August. His position remains vacant and his team has been assigned different duties in the organisation. As has been detailed in the three earlier articles in this series, Facebook worked closely with Modi well before he became Prime Minister of India; provided his party and his supporters support; helped make Modi the most “liked” leader on its platforms; allegedly turned a blind eye to coordinated disinformation campaigns, including against those belonging to minority communities, which led to incidents of mob lynching, besides targetting particular individual journalists and politicians who were perceived to be opposed to the ruling regime. In addition, Facebook has conducted workshops for the BJP to use its platforms better. As information about its association with the BJP and its supporters became public, Facebook went on a PR overdrive across India. Over the past few months, the company has issued multiple advertisements in newspapers, conducted roadshows, sponsored events and festivals, loudly announced its partnerships with fact-checking organisations and educational institutions that teach and train aspiring journalists and media professionals and conducted training programmes for government officials. A spokesperson of Facebook responded to our question on this topic by stating that Facebook’s association with “SheThePeople” preceded Thukral joining the organisation. Together with Suman Chopra and his wife, Thukral is a director in Digitalist Tech Media Private which owns the SheThePeople brand. He is, incidentally, also an additional director in Opalina Technologies Private Limited which designed the Narendra Modi app(lication) which some consider an alternative to Facebook and WhatsApp in accessing government information as well as propaganda. In India, Facebook is attempting to change its image as a platform that is neutral and does not overtly favour the BJP. For Prime Minister Modi, the social media remains an extremely important tool of communication and for political campaigning. He deeply detests a large section of the mainstream media, especially the section that had in the past highlighted his alleged complicity in the 2002 Hindu-Muslim riots in Gujarat. He is the first prime minister of India not to have addressed a “free for all” media conference since he came to power in May 2014. He continues to prefer pre-scripted public addresses and grants interviews only to “friendly” journalists. Before the elections, Facebook helped Modi and his party members effectively use its platforms to fine-tune their messaging and provide feedback on what worked and what did not. Over the next few years, the social media became a “weapon” and one of the biggest online disinformation ecosystems of its kind in the worked. Many non-resident Indians, who are among Modi’s most loyal supporters, continue to create pages, develop groups of fans and enhance his image to make him into some sort of a mythological God-like figure. At the same time, his opponents have had false information spread about them, been mercilessly trolled and satirised. Before the 2014 elections, the BJP was way ahead of others in using the social media but today, some of the party’s rivals are seeking to deploy the same methods against the ruling party. Facebook and its platforms have also made what some would consider “cosmetic” technical changes by trying to reduce the speed of contagion on WhatsApp by limiting the number of recipients a message can be forwarded to in a single click and by tagging forwarded messages. These restraints can, however, be overcome by technical experts not just by hacking but also by using automated robots, fake accounts and third-party software to circumvent the default limits of these platforms, for example, by employing software to create multiple groups each with 256 users, the limit imposed by WhatsApp on the size of a group. On 3 November, the British Broadcasting Corporation (BBC) reported that hackers gained access to private information of nearly 120 million Facebook users and published messages from 81,000 accounts in an effort to sell the data to earn money. The going “rate” was reportedly 10 British cents per account. Facebook is also looking at hiring more content moderators in India – despite its constant refrain that artificial intelligence can solve most of problems arising out of the spread of disinformation on its platforms ­–through its third-party contractor, Genpact, operating out of Hyderabad and Bengaluru. How effective these steps will be remains to be seen. There is every indication that India will remain the world’s biggest hate-creating factory on social media. The digital fingerprints of India have been found across political conversations in South Africa, the Philippines, Cambodia, Brazil and Mexico. Numerous India-based PR, campaign-management and digital marketing companies regularly employ “bot networks” and “sock-puppet accounts” to impact social media countries across the planet. Among such companies is CNet Infosystems, based out of Noida in Uttar Pradesh, which allegedly tried to “game” political conversations in South Africa on behalf of the discredited Gupta brothers who were accused of corruption and trying to buy political influence in that country when Jacob Zuma was in power. The company, with the help of the disgraced PR behemoth Bell Pottinger, allegedly set up numerous disinformation websites and bot-networks on Twitter and Facebook to advance the cause of some of the Gupta brothers who are now reportedly absconding. Fire Eye, a cybersecurity firm, released a report in 2018 which claimed that Indian currency was used to buy problematic advertisements on Facebook before and after the 2016 Presidential elections in the US. The involvement of Indian PR and digital marketing companies is also suspected in the recently-concluded elections in Mexico and Brazil, according to investigations by the Digital Forensics Research Laboratory. An investigation by AltNews exposed one of the companies that is allegedly spreading disinformation on Facebook, namely, a Delhi-based firm named Silver Touch Technologies. Incidentally, one of the biggest clients of this firm is the government of India! In Cambodia, opposition parties have demanded a probe into incumbent President Hun Sen’s online influence campaign after the local media investigated and found that the president was buying “likes” and “shares” on the social media from India-based content marketing companies. One of sources told us that while many have argued that companies based in China that are operating in India pose threats to this country’s national security, it can be argued that a bigger threat to the integrity of elections and democratic institutions here is the way certain digital marketing companies are operating. In India, as in Brazil, supporters of political parties are reportedly using SIMs registered in foreign countries to bypass restrictions. Besides Silver Touch, other digital companies like Fourth Dimension and TSD Corps have been in the past been linked to the BJP and the Modi government. Software that can create huge WhatsApp broadcast groups, link Whatsapp numbers to Facebook accounts and create databases of WhatsApp numbers linked to electoral data at the booth level are available in the market for as little as ₹500. That social media will be increasingly used and misused to influence and manipulate political preferences of voters in the months leading up to April-May 2019 when the 17th general elections are scheduled to take place, is a no-brainer. On 12 November, the BBC released detailed research findings that clearly indicated that a “rising tide of nationalism in India is driving ordinary citizens to spread fake news” and that “facts were less important to some than the emotional desire to bolster national identity” – these findings may sound like music to the ears to certain supporters of Modi. Like Trump, India’s Prime Minister is a demagogue who seeks political support by appealing to emotions that are often divorced from facts and factual analysis. No one in the audience raised her or his hands. We sought appointments with Ankhi Das and Shivnath Thukral for on-the-record interviews for this series of articles. We emailed a list of 64 questions that covered, among other issues, the working of Facebook’s policy team in India, its relationship with Modi and the BJP, its content moderation policies, and allegations of conflict of interest in the case of Thukral. We received a response from Facebook’s spokesperson in India. In the fifth and final article in this series, we summarise the crisis Facebook is facing in the US in the wake of an investigation by the New York Times suggesting that the company’s leadership indulged in dodgy and unethical practices, claims that Zuckerberg and Sandberg have denied. We also reproduce the detailed questionnaire we sent Facebook and the social media platform’s standard and somewhat fuzzy responses to a series of pointed questions we raised, before concluding this series of reports.